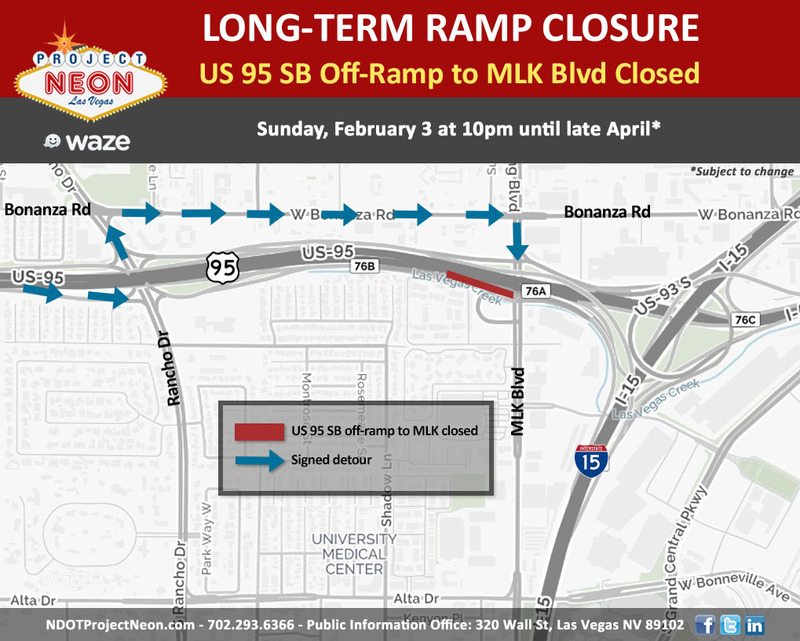 The US 95 SB off-ramp to MLK Blvd closes Sunday, February 3, at 10pm, and will remain closed until late April. See below for detour information. Questions? Please call 702-293-NEON (6366).